These reusable totes stack when closed and nest when open for space saving storage and return. 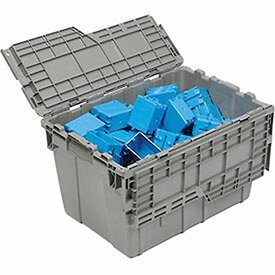 With lockable, hinged lids that prevent the costly loss of product, these attached-lid containers are the ideal solution for split-case picking and shipping. 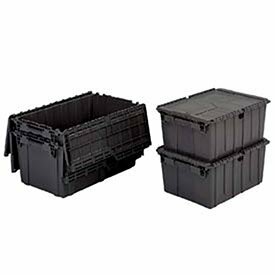 The durable construction and superior design of these reusable containers ensure a long service life, providing excellent return on investment and reduced distribution cost per trip when compared to corrugated boxes. Contoured handles for easy handling and dimensional consistency for repeatable performance in automated systems. This FliPak is fully recyclable at the end of its service life. Safely and securely ship and distribute materials with these durable, affordable shipping containers. Ideal for health care, pharmaceuticals, periodicals, apparel and more. Reusable totes can be used for over 250 trips. 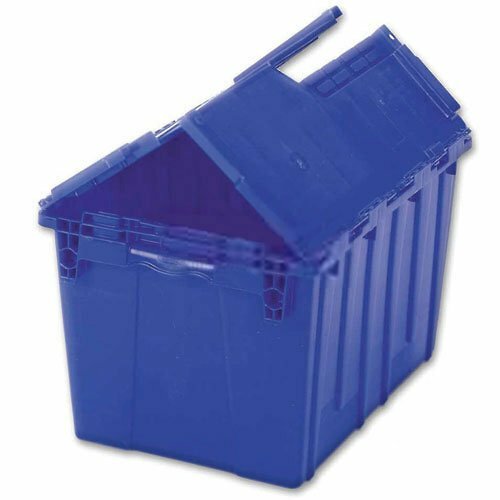 Made using high density polyethylene. 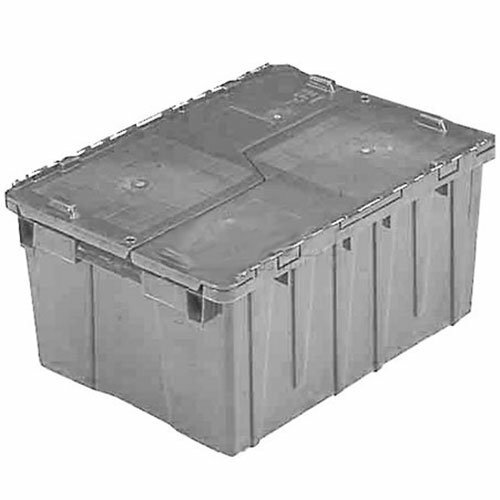 Interlocking lids are permanently attached using heavily reinforced hinges. 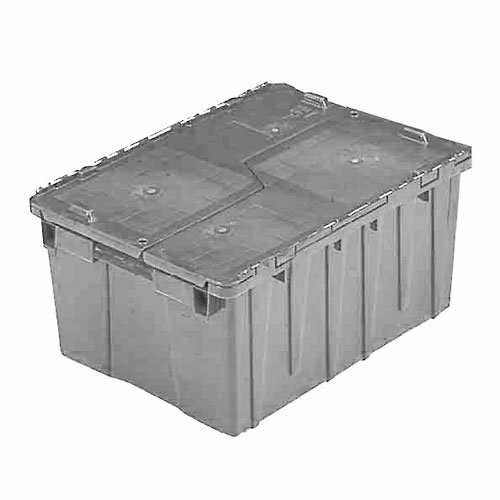 Attached lid containers allow nesting when not in use and with lids open to help reduce return shipping costs. Raised lip edges allow secure stacking when closed. Molded-in grip handles have an integral hasp to accept cable ties or padlocks for security. Copyright © Wholesalion.com 2019 - The Best Prices On Flipak Distribution Container Online.